When doing photography in general, and in my case Travel photography, the use of a photography template can be very beneficial and help improve the overall performance. By photography template I mean pre-defined, well-known and efficient photography composition templates that are recurrent and relevant in photography, and fit popular “good taste”. 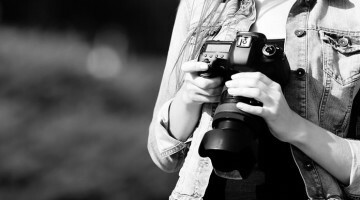 Knowing your usual and favorite photography templates will help you be faster and thus nail the shot when things happen very quickly, which is very often the case when photographing people. So before I talk about the use of these templates and the positives they bring us as well as their dangers, let’s try and define those I personally use on a daily basis. I do not know if these templates have already been described in details elsewhere (I am writing this while on the road and haven’t had the time to do much research) but this is not the point. I’d like to show you the ones I use, as a Travel / People photographer in Asia. This is just a quick list I have made referring to my images from the last few weeks’ travel, as I am still on the road. This list is not comprehensive, just what I most commonly use. A very simple and efficient way to enhance our subject and give dynamism to our image. The rule of thirds for the dynamism (unlike the middle placement for more static moments) and a clean background so our eyes do not get lost in it and remain mostly on our subject. Your background can be simple such as plain wall, or because of a shallow depth of field. Ideally, find colors that work well together and are complementary between the subject and the background. If you’d like to tell a bit more of a story in your image, try and find a background that will balance your subject.Help the viewer’s eyes go back and forth between the subject and the background. It remains important to keep the background quite simple as too many details can be confusing. It is also very important to keep in mind the weight of your image so one element doesn’t completely take over the other. Inspired from photojournalism, a very useful template that will help you to add a feeling of business and action to the image. Having a busy foreground will make it feel more dynamic but can also help hide a messy background. A very simple but efficient template that works very well when there is action. The diagonal line being much more dynamic than the straight line will increase the dynamic effect and give your viewers’ eyes a direction to follow through the image. No need to introduce this very popular composition technique also called a frame within a frame. A very efficient way to draw the viewers’ eyes onto a specific element of the image. A little more tricky here but still very efficient, mostly when using wide angle lenses. The idea is to use people as natural frames for your image and also create leading lines for better dynamism. It can also help get rid of messy backgrounds by hiding them with these frames. This time the idea is to create a feeling of emptiness into most of the picture for a more dramatic result. It works very well with silhouettes or with deep blue skies. Basically, the empty space of the picture adds drama. Being the most simple shape, the triangle will help your viewers’ eyes follow the three main elements that are filling your frame. Please note that it is important to really fill your frame with your elements and not leave some useless empty space. One of my favorites: placing your subject in the middle when there are symmetrical backgrounds gives a simple and very well balanced feel to your image. Its lack of dynamism makes it ideal for quiet and peaceful situations but personally, I like to break that peacefulness and predictability with a dynamic body gesture from my subject. A kind of rule breaker but one which works a lot for me. Instead of having our subject looking into the rest of the image, he/she is captured looking towards the frame. That works very well as it creates opposing tensions through the image that pull the viewers’ eyes towards both sides of the image. The idea here is to remove our subject’s head from the composition to enhance other elements like their hands, feet, tools, etc… Human beings are automatically drawn to look in people’s eyes first. Removing the head (and thus the eyes) directs our attention to the rest of the image. Of course, you don’t have to remove the whole head, removing the eyes will also work. While these few examples can help you to make faster decisions when things are happening quickly, they can also block your creativity. Often on the tours, I am faced with advanced photographers who have been stagnating in their creativity for a while. They know all the camera settings and basic rules of composition but find it difficult to go beyond their usual images. When looking through their portfolio, the word that often comes to my mind is “predictable”. Image after image, I see the same templates happening. The photos are very nice, of course, but lack originality because of the tyranny these templates impose in the end. So a wise photographer uses templates in order to be faster and more effective in the field but adapts them with originality to particular situations or moments. It is also very important to keep creating new templates that can be discarded any time we no longer fancy them. This will help the photographer to evolve and continue to be original. So if you’d like to improve your photography, have a look at your portfolio: what templates do you see? Are these templates becoming redundant? Are they dominating your work? And when you look at your favorite images, how are they different from the others? How did you manage to break your usual templates to come up with better, more original images? If you’d like to read my tips to help you breaking these templates and come up with more original work, check out the Part 2 of this article. As I mentioned in the first part of this article, while templates can help you capture the decisive moment, they can also be a trap that stifles originality. If you follow your templates too strictly you may end up capturing the same “predictable” compositions over and over again. So how can we break our usual templates and come up with more creative images? 1. The easiest way is to look at other photographers’ work. When you see an image from another photographer that really makes you stop and look, do you spend some time to analyze it? Do you try to understand what parts of the composition make you feel that it is special? We all have a lot to learn by looking at other people’s work, so that is a good place to start. Pursuing this idea further, why not attend a photography workshop in a field that you are not familiar with? I participated in a photo documentary workshop in Malaysia earlier this year and it just opened a door to a whole new world. People were creating beautiful stories with series of blurry colors and shapes, something I could never have imagined before being a Travel photographer. 2. Technically, there are some tools you could use to help you achieve a new vision on things. The most important of all is, of course, the light. By purely focusing on light (and shadows) you can start seeing things in a different way. If the light is only on a certain part of your subject, then remove the part which is not in the light, and your composition will instantly be different. By focusing on the light we tend to forget our templates and only follow the lines and directions the light is giving us. 3. I also find it very useful to turn things the other way around when framing my image: instead of asking myself what I want to include in my frame, I concentrate on the elements that I do not need and I that want to remove. This approach complements the way you can use the light for your composition. Instead of thinking about your usual frame (subject, background, etc…) that you will naturally compose following your templates, you only think about the immediate essentials: the light and the lines it creates. By deciding to remove any other element, your brain does not try to compose using one of your templates, but simply follows what the light is dictating. 4. I think another very good way is to force yourself to use different camera gear. Of course photography isn’t about the gear but using different tools can help break your usual pattern. When I see people being good at taking portraits with their 85mm or 100mm lenses wide open, I am trying to push them to spend some time with a 35mm at f8.0. This will force them to stop thinking the way they used to and look at things with new eyes. In the same way, you could try to change your usual aspect ratio; if you start shooting in a square format, the rule of thirds won’t have the same impact, and the way you see and frame will evolve. 5. But the best way I think isn’t technical: it is more about working on your mind. By using different camera gear, different settings, aspect ratios, etc… what you are actually doing is putting yourself outside of your comfort zone. And when you reach this zone, you are also entering a brand new learning zone which does not happen when you do things you are good at doing. By trying to change your state of mind (and I am not saying here you should go and shoot intoxicated, even though that could lead to interesting things), your composition will immediately change. If you are a Travel photographer like me, why don’t you think of yourself as a photojournalist for a day? I find my compositions and approach to things are quite different when I am working on a long term project and/or a series of images. Because I do not try to nail that one special shot – as I would normally do as a single image travel photographer – I can spend more time studying other elements of the given situation: working on details, shapes, patterns, or capturing deeper emotions on my subject as I can entirely focus on them, and not on the overall composition. Street photography is also a field from which I take a lot of inspiration. Walking the streets as a street photographer requires a completely different approach than travel photography. When I do it I need to refrain from shooting my usual stuff and look for new, original things. I am more looking for light and shadows, shapes, or funny things happening on the streets. By getting out of your comfort zone, you need to create a whole new set of rules for your composition and that will lead you into experimentation and most probably learning a thing or two. It will probably be difficult and frustrating at first, but things are rarely interesting if they are too easy, right? Etienne Bossot is a travel photographer based in Asia. If you would like to see more of his work, you can visit his website, follow him on Twitter and Flickr, and like his Facebook page. This article was also published here and here and shared with permission.